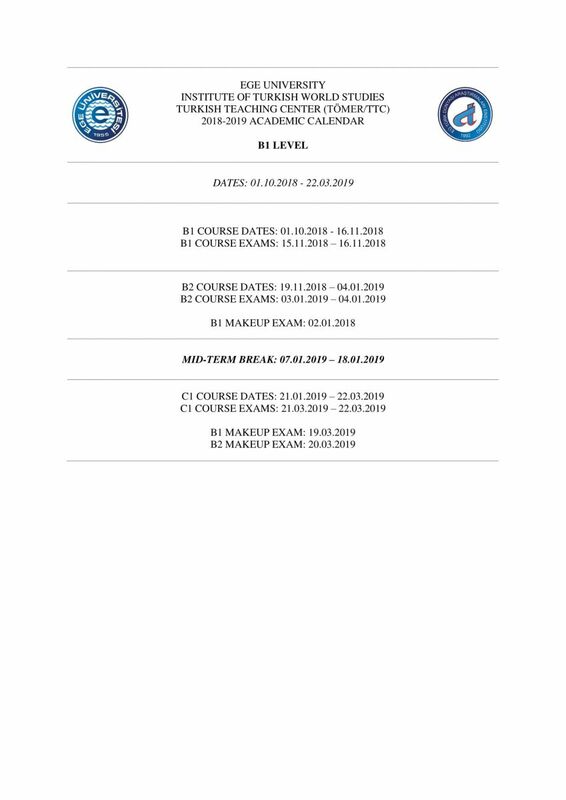 Please submit a document including your name-surname, passport number, father’s (or parent) name and birth date to the secretarial of Turkish Teaching Center (TTC) at Institute of Turkish World Studies – Ege University for preregistration. After submitting this information to the secretarial of TTC, please pay the preregistration fee (1.500 TL) to the bank account below mentioned and present the receipt to the secretarial of TTC. This amount will be deducted from your final registration fee. Please submit your passport, a duplicate of your passport, and four portraits for final registration. Also, those who want to enroll in TTC must fill in the “Student Registration Form” that is presented by the secretarial of TTC. 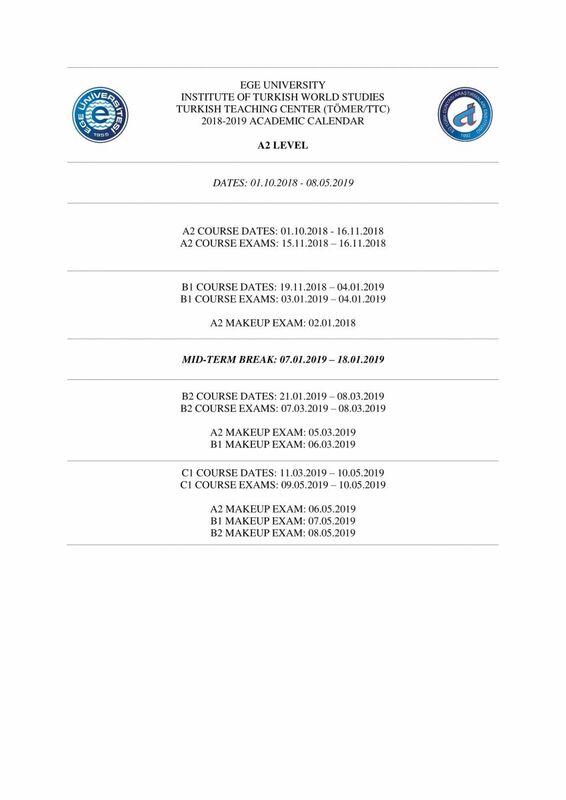 You can find a table showing course fees and course schedule below. Those who have paid for the preregistration or final registration fees will not be paid back in the event that they do not attend to courses for any reason. 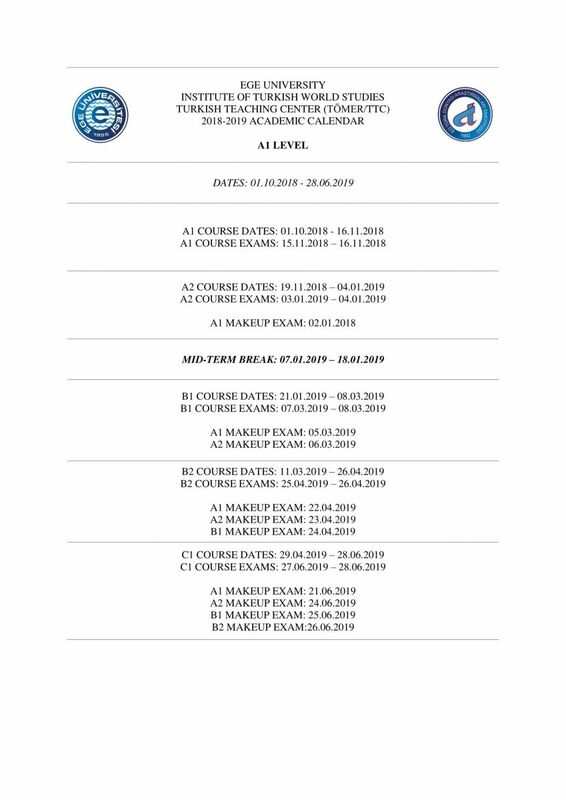 Institute of Turkish World Studies Board will give a discount to students who are from any Turkic countries and/or has a document that shows s/he is Turkish. Since online application and registration is not available, applicants must execute all registration procedures at secretarial of TTC in Institute of Turkish World Studies.